Jacques Alexis is a scholar practitioner with a unique combination of expertise in business economics, general management, portfolio, project, and operations management. He has nearly two decades of experience managing major programs and projects within the manufacturing and power generation industry sectors. He has played key role in areas such as project and program delivery, portfolio design and management, project planning and financial analysis, business and project process improvement. With a strong and successful track record in portfolio, program, and project management, Jacques has worked on projects and programs that have delivered organizational performance improvement, waste and cost reduction, and business transformation. He is currently an assistant teaching professor in the project management graduate program at Northeastern University's College of Professional Studies. Jacques is a member of the British Academy of Management (BAM), the Center for Evidence-Based Management (CEBMa), the Institute of Management Accountant (IMA), and the Project Management Institute (PMI). He holds the Project Management Professional (PMP®) credential. He was inducted into the honor society Phi Kappa Phi for scholarship excellence in management. He received his bachelor's degree from Hautes Études Commerciales (HEC) and completed a master’s degree in management from the University of Wisconsin, with a concentration in project management. 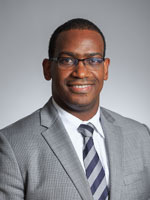 Jacques received his doctorate degree in management, with a focus on business strategy and the environment, sustainable project, and portfolio management from the University of Maryland. His interests in research focus mainly on entrepreneurship and innovation-based economic development, sustainable project and portfolio management. Senior Management Consultant - Provide strategic, operational and financial consulting to a variety of for-profit and non-profit clients. The PMI® serves practitioners and organizations with standards that describe good practices, globally recognized credentials that certify project management expertise, and resources for professional development, networking and community. The British Academy of Management is the leading authority on the academic field of management in the UK, supporting and representing the community of scholars and engaging with international peers. The Center for Evidence-Based Management (CEBMa) is the leading authority on evidence-based practice in the field of management and leadership. IMA® is the resource for developing, certifying, and connecting the world's best accountants and financial professionals working in business.